Raindrops keep falling on your head? Well, we are giving you the chance to beat the weather in our Raindrop Race, giving you the chance to win £1,000 worth of Thomas Cook holiday vouchers. 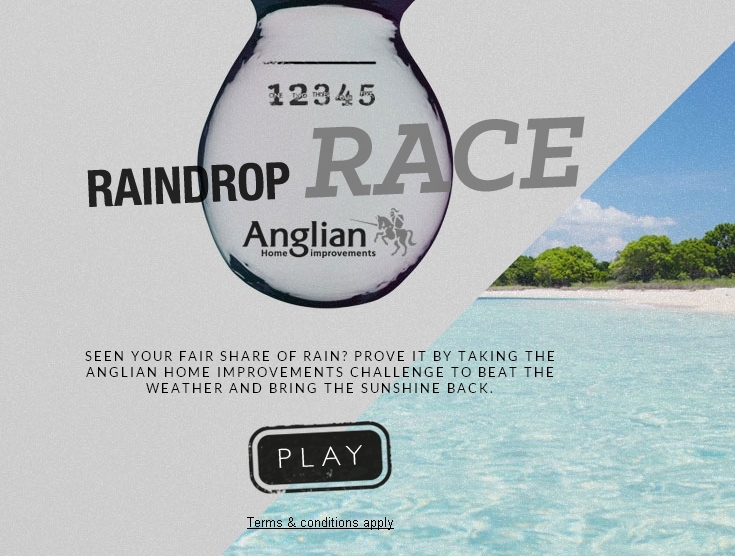 Your challenge is to beat the great British weather and bring the sunshine home by backing the winning raindrop. You can choose from four classic British seaside destinations as backdrops for the window and if you manage to win the challenge, all you have to do is share the competition on your Facebook page and fill in the form to be entered. It could be an easy route out of the UK and into some glorious sunshine. So, click the image below to go to the Raindrop Race. Have fun and good luck!